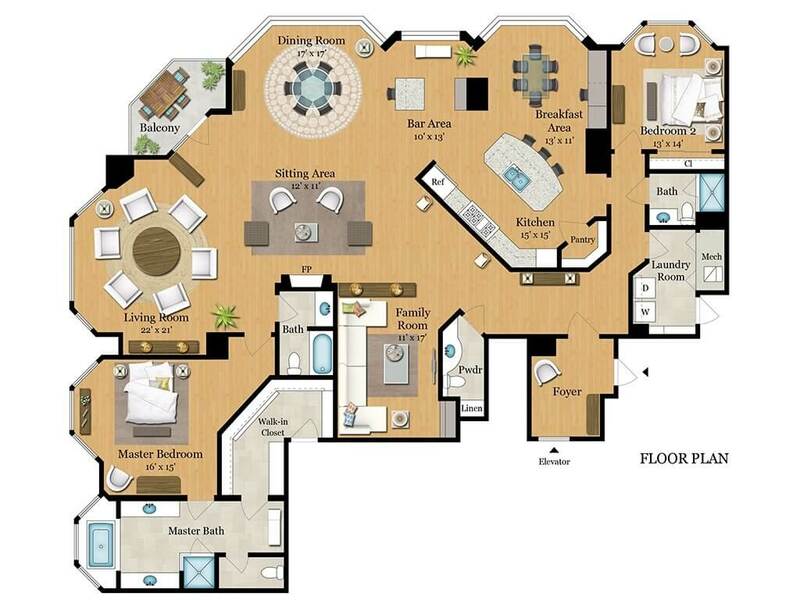 Park Laurel is the Epitome of Urban Up-sizing! Park Laurel is located in San Diego’s Banker’s Hill neighborhood. The community is a cut above the rest, with 24 hour security, full time concierge, and a very elegant lobby including rich marble and wood finishes. The amenities include a large sun deck with a pool and spa, a community lounge, fitness facility, BBQ area, and conference room. 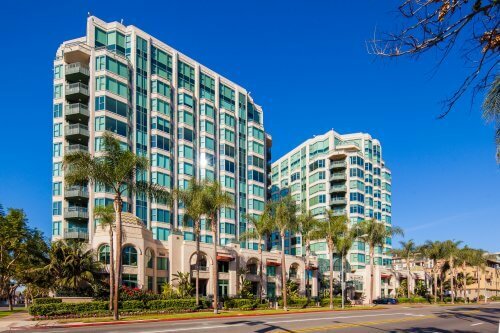 This location is rapidly growing into one of the most desirable urban areas in San Diego. Park Laurel is located directly across from Balboa Park’s Laurel entrance. 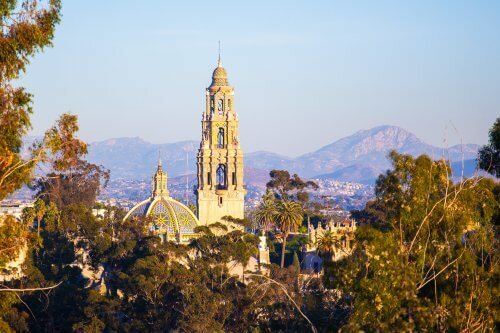 Whether you want to go see a play at the Old Globe, have dinner at The Prado, or go to the Museum of Man, it is all just a short stroll out of your front door! Amazing City, Bay and Coronado Bridge Views! I could bore you all day by writing about the home’s top of the line finishes, stainless steel appliances or great layout. You have heard the pitch before, and yes this residence has it all. I want to talk about what sets this home apart from the rest. Park Laurel #905 offers one of the most unique views in San Diego. 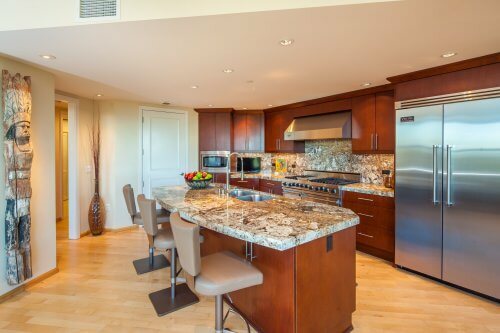 The residence faces East towards Balboa Park and has unbeatable views of San Diego’s version of Central Park from almost every room in the residence. Park Laurel #905 has the best view of Balboa Park’s historic landmark, The California Tower, that I have ever seen from a private residence. Often times, when you enter a condo, you stumble directly into the kitchen. This is not the case at Park Laurel #905. From the moment you walk in, you feel like you are at home. You have your very own private elevator lobby that transitions in to a proper foyer. The foyer leads to a very large great room filled with windows and amazing views. In San Diego’s urban areas, it is hard enough to find 2,000+ square feet. With new construction coming in, it is even more difficult to find a luxury high rise in the neighborhood under $1,000/sf. This residence is 3,228 square feet and at the middle of the range, it is priced just under $775/sf. The location also far surpasses that of the new construction in the area. Park Laurel is situated at the Cabrillo Bridge entrance to Balboa Park. You can be at Old Globe, Sculpture Garden, Museum of Man or even The Prado with a quick 8 minute walk.